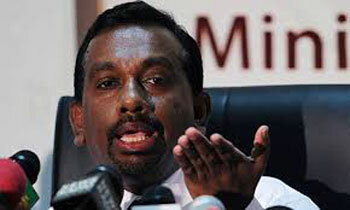 Prime Minister Ranil Wickremesinghe has criticised the lawyers appearing for the Ports Authority in the case filed in the High Court against the Hambantota lease agreement, MP Mahindananda Aluthgamage said today. He told a media briefing organised by the joint opposition that Prime Minister had done so at a discussion held at Temple Trees on Sunday. The MP said that the Attorney General, Finance Minister Ravi Karunanayake, Development Strategies and International Trade Minister Malik Samarawickrama and Ports and Shipping Minister Arjuna Ranatunga had attended the discussion. The Prime Minister has criticized Minister Ranatunga and the lawyers as they were against the Hambantota Port agreement and the acquiring of lands for the proposed Hambantota industrial zone. The lawyers had showed that the agreement was illegal and the Ports Authority should not authorise it,” he said. The MP said according to the sources, the lawyers had been warned to remain silent till the agreement was finalised. This entry was posted on Monday, January 16th, 2017. You can follow any responses to this entry through the RSS 2.0 feed. You can skip to the end and leave a response.